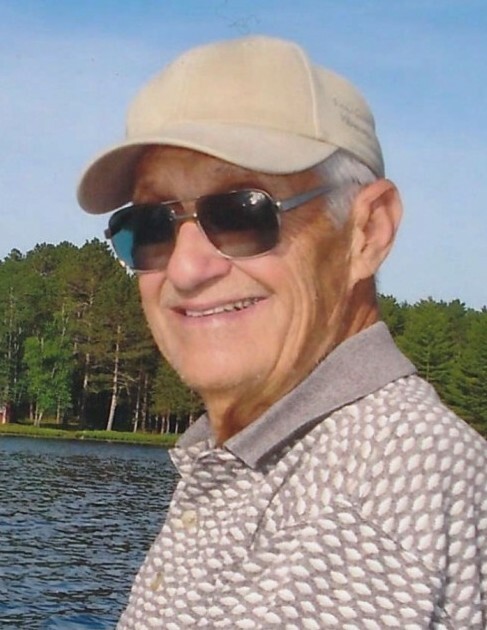 Charles W. Wilhelmson, 87, of Rockford, passed away on January 27, 2019 at home. Born June 25, 1931 in Rockford, son of Joseph and Vera Wilhelmson. He was a graduate of East High School and married his high school sweetheart, Pauline Selgren, on July 17, 1954. He served in the U.S. Army from 1952 to 1954 in the 84th Tank Battalion and was then a Reservist until 1960. He worked for Home & Page Construction Co. from 1949-1952 and then started his own company, Wilhelmson Masonry in 1958 until he retired in 1999. After he retired from construction, he worked for Doran Flower Distributors part-time. He was an avid gardener and fisherman; he belonged to Flatlanders Fishing Club. Survivors include his wife, Pauline; daughters, Denise (Jay) Bielefeldt, Jan Heivilin, Lisa Wilhelmson and Sara (Gary) Bunch; seven grandchildren, Jodi (Tim) Wendler, Kurt (Lisa) Bielefeldt, Kelly Heivilin, Karen Heivilin, Alison (Jason) Moraska, Kristen and Brandon Bunch; six great-grandchildren, Avery, Mason, Jaxson, Austin, Aubrey, Maddox; sister, JoAnn Johnson; niece, Connie LaMarca; special brother-in-law, Ronald Fowler and nephew, Mike Fowler. Predeceased by his parents; special sister-in-law, Char Fowler; nephew, Doug Fowler; brother-in-law, Harold Selgren, Jr. and niece, Kristy Petrie. Funeral service will be at 11:00am with a Visitation from 10:00am until the service on Tuesday, February 5, 2019 in Honquest Family Funeral Home with Crematory-Mulford Chapel, 4311 N. Mulford Road, Loves Park. In lieu of flowers, memorials to the family for a fund to be established at a later date. Burial in Scandinavian Cemetery.